The colors in an abalone shell have no equal. The pattern in this organic gemstone is what the splendid fusion of pearl and opal would look like–– delighting with a rich display of luminosity and kaleidoscopic color. It’s like an underwater rainbow that no one sees until the shells are brought to the surface. And once they do, it presents an opportunity to create jewelry that’s truly special. The pieces in this collection start with interior rings of delicately worked sterling silver. 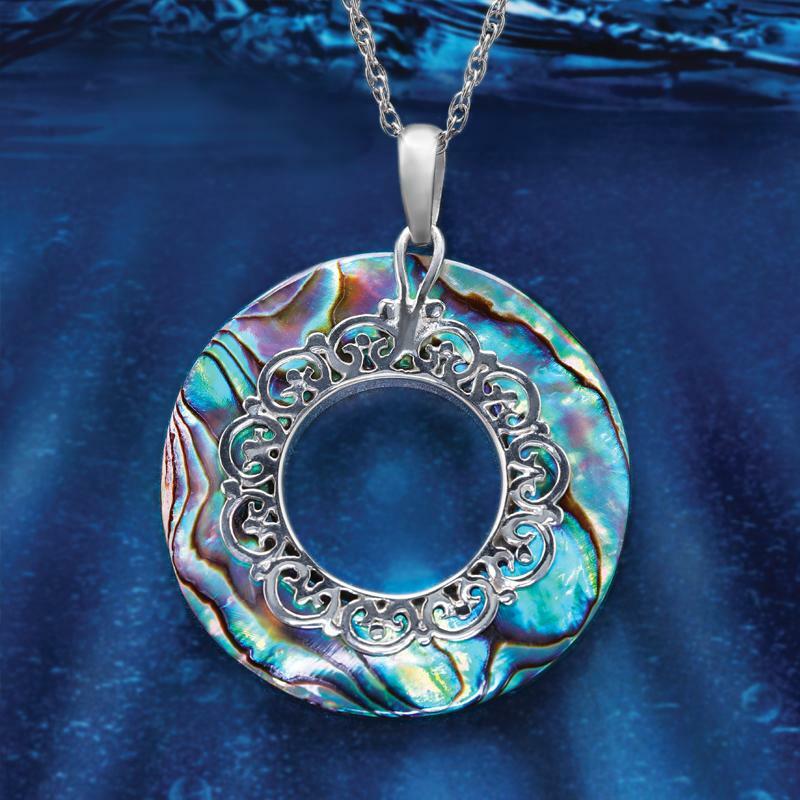 To this elegant beginning, we’ve added an outer ring of vibrant and multicolored abalone shell, bringing life to the party with its prismatic perfection. If you’re looking to express your secret wild side without sacrificing any elegance or grace, a piece from the Abalone Rainbow Collection is a beautifully balanced combination.